The 2008 Baroli have turned out better than I originally expected. They are for the most part gracious, medium-bodied wines that are highly expressive to site and full of character. Quality is inconsistent across the region, so consumers will have to choose with care, but the best 2008s are thrilling. The winter was quite wet, a trend that continued into the spring. 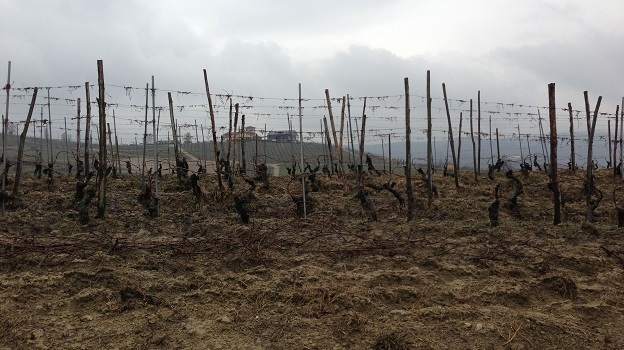 Heavy rains caused erosion and landslides in several important vineyards. The larger problem across the board was the onset of peronospera and mildew. These diseases required considerable attention from growers. It was a year where timing was everything. On average, vineyards were treated three times the normal amount. Hail was an issue in some spots. A number of producers did not bottle their top selections, including Azelia and Elvio Cogno. The summer was warm, but not excessively so. The 2008s were made during the last month of the growing season, echoing a refrain that is common among produces. A glorious fall allowed for a late harvest that started around the middle of October and lasted through the end of the month, very late by modern-day standards. The 2008s are gorgeous Baroli with expressive aromatics and tons of length. Overall, this is a vintage of medium-bodied wines with considerable minerality. The vintage reminds me most of 2005, but the 2008s are much more complete. Readers may recall that the vast majority of 2005 were picked in late September, earlier than would have otherwise been optimal, as growers worked to avoid a ten-day storm that was approaching during harvest. The 2008 Nebbioli, on the other hand, were picked from the middle to late October, and therefore achieved much more phenolic ripeness and overall balance. There is a Pinot-like sweetness to many 2008s that is highly unusual for Nebbiolo, but that is immensely appealing in the young wines. Unlike 2007, which was by contrast a relatively easy growing season, 2008 threw lots of curveballs at producers. It was a very difficult and challenging year, as witnessed by a small handful of top estates struggled mightily. As a result, quality is inconsistent across the Barolo-producing villages, but also within producers’ portfolios. The 2008s are very transparent to site, something that is such an important part of Barolo and Nebbiolo-based wines more broadly. At the top of the vineyard hierarchy, the great sites show why they are great in 2008 more so than in any recent vintage I can recall. Specifically I am thinking about Cerequio, Brunate, Rocche dell’Annunziata, Cannubi, Rocche di Castiglione Falletto and Ginestra, all shared by multiple growers, which allows an evaluation of site that is harder with vineyards such as Falletto, Cascina Francia and Monprivato, which are all essentially monopoles. It is also a great vintage for some due south-facing sites like Mosconi in Monforte that typically yield bruising, powerful wines. In the cool 2008 the vineyard orientation allowed for better ripening than in other neighboring sites. As of this writing, 2010 is shaping up to be the next important vintage in Piedmont. Based on the wines I have tasted from cask, 2010 is shaping up to be an outstanding vintage with the potential to be truly great. The wines have aromatic complexity, tons of depth and structure to burn. Today the 2010s come across as a modern day 1999, or a combination of 2008 and 2006. It was a cold year, with an irregular flowering and late harvest, pretty much as it was in Burgundy. The best 2010s are viscerally thrilling examples of Nebbiolo. I am less excited about 2009. There is nothing wrong with the 2009s, they just don’t have the distinct character of surrounding vintages like 2006, 2007, 2008 and 2010. The 2009 Baroli are open, gracious and inviting, which is perfectly fine for wines meant to be enjoyed upon released. I am curious to see how the 2009s show after bottling, which for the vast majority of wines will take place in July/August of 2012. So far, I have tasted little from 2009 that reaches the stellar heights Nebbiolo is capable of. Piedmont is the greatest of the upper echelon red wine producing regions in the world for consumers who want to learn about wine. Why? For starters, even the most elite estates are open to the public and getting and appointment is relatively easy. The top properties in Burgundy are accessible only to those in the trade or to those with great connections. Many top wineries in California aren’t open to the public at all. Both are understandable, as these estates are overwhelmed by the demand for visits and tastings. But that is not at all the case in Piemonte, where the average consumer with a true passion for wine can still schedule a tasting just about anywhere. Because Barolo spends several years in the cellar, it is also possible to taste multiple vintages of the wines, something that is also virtually impossible to do elsewhere. By the time this article is published, a visitor in Barolo could potentially taste the 2011s and 2010s from barrel, the 2009s from barrel or tank and the 2008s in bottle. Four vintages. Do that across a producer’s multiple single-vineyard wines and you have a fascinating tasting of the kind very few wineries/regions can offer. And those tastings aren’t done just for critics, they are done for anyone with a true interest. Next year we will host the second edition of La Festa del Barolo in New York. Sixteen producers will be on hand for a weekend that promises to be the most exciting and educational Barolo event anywhere in the world. The schedule will include a seated tasting with the winemakers and a multi-course Gala Dinner where producers and attendees share wines from their own cellars. A group of the country’s top sommeliers will be on hand to serve the wines. Update: See the trailer from La Festa del Barolo 2013 here. Videos from each of the participating producers are available to watch here.